The Vietnamese ceremonial and southern nonprofessional music (Nhac Le –Tai Tu) will be introduced in the annual music festival Torino Settembre Musica in Italy. The program themed "Portrait of Viet Nam" will be held from September 18-22 at the Gobetti Theatre and Giuseppe Verdi Conservatory in Turin. 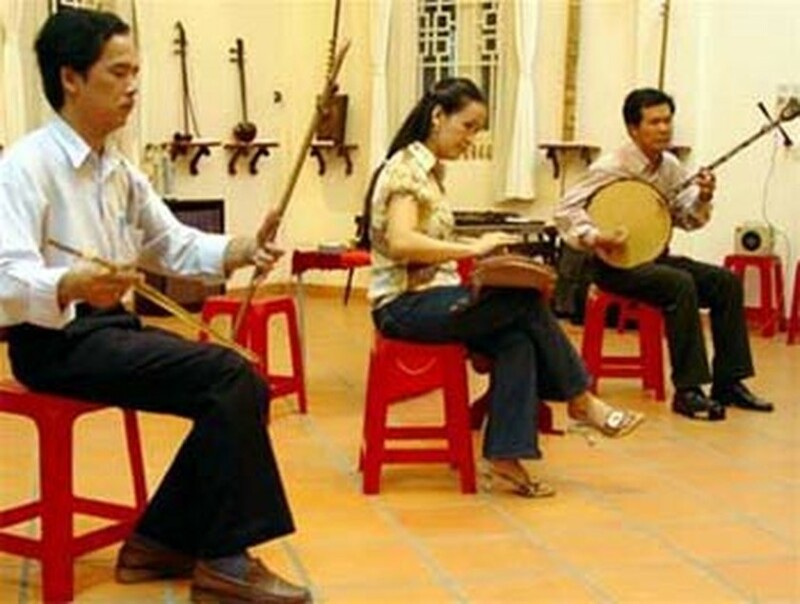 The Vietnamese music troupe includes Phan Nhut Dung, head of the ceremonial music club of Go Vap District in Ho Chi Minh City and bandsmen Hiep Liet, Thanh Hung, Minh Quan, Trong Tri, together with two artists Huynh Khai, playing Dan Kim or Dan Nguyet (moon-shaped lute) and Hai Phuong, playing Dan Tranh (sixteen stringed zither). They will co-perform typical southern nonprofessional music compositions such as Luu-Binh-Kim, Luu thuy truong, Nam xuan-Nam ai-Nam dao, Ly giao duyen, Xang xu liu by the Vietnamese traditional musical instruments including percussion of trong com (cylindrical drum), trong cai (large drum), trong bong (bong drum) and bowed strings of dan co, dan gao, etc. Besides, other forms of Vietnamese traditional art of Ca Tru (ceremonial/festival song), Central Highlands gong and water puppetry will be presented in the festival. Prof. Dr. Tran Van Khe, leader of the troupe, will give a presentation of these forms of art to the public.